The contract between the seller and the buyer has an inspection contingency that spells out how any repairs found must be communicated between the parties. Your listing agent is cautious and wants an “insurance” policy to protect you from future possibility of an “after the fact” misunderstanding. 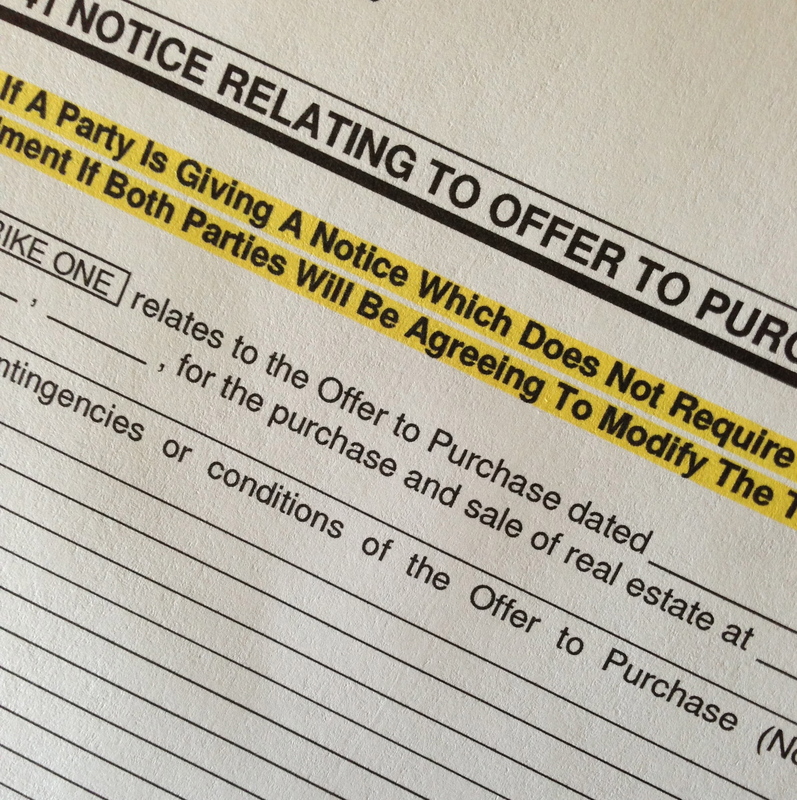 Reader Question: If a counter offer agreeing to the low purchase price, but also designating the property purchase is ‘AS IS’ has been signed and accepted by the buyer, why does the seller have to sign as declining to fix 3 small items on the inspection report? BJ T.
The contract between the seller and the buyer has an inspection contingency that spells out how any repairs found must be communicated between the parties. Your listing agent is cautious and wants an “insurance” policy to protect you from future possibility of an “after the fact” misunderstanding. Some states inspection contingencies allow the seller a “right to cure” or the seller has no “right to cure”. Your contract language could have created a conflicting effect with the negotiation for an “as is” transaction. It may be a language conflict where the seller gave up their right to cure, or something to that effect, and your agent is confirming it. Lastly, states have different definitions in terminology, which influence how the rules are interpreted. An example is the difference between a “notice” and an “amendment.” In my home state, if a party to a transaction offers up an “amendment” it is a negotiation. 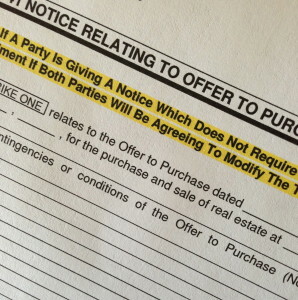 If a party offers up a “notice” it does not mean a negotiation and sometimes it can signify an end to a transaction. What type of document are you being asked to sign? I suspect your agent will have an explanation. Have you spoken with them? Read the fine print in the contract. Are you asking Monty because you are unsure of or disagree with the agent’s answer? I have not seen the contract and I am not an attorney. If you have doubts, take it to your attorney who will offer an informed opinion. Reader Question: Monty, we paid $400+ for a home inspection. We were living out of state, but both the Realtor and a friend of ours accompanied the inspector. The owner did not have the water running and there were many issues with the electrical. The owner assured our representatives that these issues would be fixed. There was little more than a note in the actual report. After closing we found a number of glaring issues that, had they appeared in the inspector’s report, we would not have purchased the home. While we have been able to use the home warranty for particular issues there are others (an improperly installed shower) that were not covered and will cost us several hundred dollars, what recourse do we have? Thanks. Hannah D.
Monty’s Answer: Hello Hannah, and thanks for your question. If these issues can be repaired or replaced for “several hundred dollars”, it may not be worth your time to pursue it any further. Perhaps you should chalk the loss up to experience, make the repairs and move forward. The inspector may have “errors and omissions” insurance or an inspection warranty that will cover the losses. The inspector may also be willing to negotiate some type of settlement. Most inspectors will limit their exposure by either re-scheduling the inspection when the water system is functioning, or inspecting the home with a noticeable disclosure in the report that the plumbing system was not inspected because the system was shut off. I have not seen the report, but it is also possible the home inspector was not competent. The water system not being operative is a huge red flag. Did you hire the inspector? How did you find the inspector? Did your Realtor throw out any cautionary flags? Bring this situation to the inspector’s attention to hear what they have to say. Knowing the water was not operational at inspection and the inspection revealed electrical issues, why did you not insist on a pre-closing walkthrough? Delegating the responsibility to a friend is usually not a good idea because they do not know how to react in a situation like this, all they can do is report it to you. An owner promising to fix problems prior to closing is notorious in the real estate business as a potential post-closing problem. While some home sellers do it right, many will utilize inferior parts, have poor workmanship or, worse yet, neglect to perform. It occurs to me that you bear some responsibility in this situation.